If you have questions, call us now 661-538-9966 and we'll answer them quickly. It is our commitment to make your dumpster rental in Santa Clarita as hassle free as possible. We understand that you may have a few questions about us and we are certain that the best way to answer them is to talk to us. Call us now and a customer-friendly representative will give you clear-cut answers. 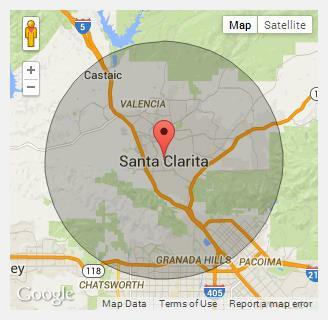 Often dumpster rental pricing in Santa Clarita is not as well-defined as it should be. There are dumpster rental companies that give add on fees and which you wouldn’t be aware of until it’s already too late. We are proud to say that we don’t practice this. It’s our policy for our dumpster rental pricing to be clear and well-defined. Included in our affordable pricing are delivery, landfill charges, specific weight limit, and pick up. We offer well-defined and reasonable pricing with no hidden surprises. If you’re living in Santa Clarita and planning to rent a dumpster for whatever reasons such as a renovation or remodeling project, this simple guide we’ve created is perfect for you. Renting a dumpster should be easy, but knowing what questions you should ask and the right information to provide can certainly make the whole process more efficient, and in the end, it will cost you less money and time. - First, before you ask for a price quote, gather the right information which you need to provide us. If you need help, just give us a call 661-538-9966. It is worthwhile to spend some time to gather the information that Top Dog Dumpster Rental in Santa Clarita will need from you so they can provide you with the right price quote. At least, you will need to provide us some basic information so we can provide you with the right price quote. The very first thing any dumpster rental company in Santa Clarita would want to know from you is the kind of waste material and how much of it you’re planning to put in their dumpster. This helps us provide you with the right recommendation on the best dumpster size most appropriate for your job. In general, there are four rental dumpster sizes available, and these are 10, 20, 30, and 40 yards. Once you already have the needed information to get your free price quote from Top Dog Dumpster Rental then you should give us a call at 661-538-9966. If you need help, we are here to guide you along the way. Here at Top Dog Dumpster Rental in Santa Clarita, we do our best not to charge you with additional fees. We try to be transparent and help you understand which fees will be charged depending on how you use the dumpster. If you’re planning to place the dumpster on your property in Santa Clarita, make sure not to place it on any grassy or soft ground. This is because dumpsters are very heavy, and without proper support they can do damage to your property or sink into the ground.